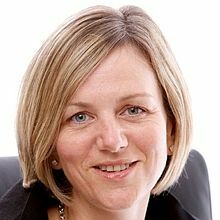 Lilian Greenwood, the Labour Member of Parliament for Nottingham South, has been elected chair of the All Party Parliamentary Group on Deafness. Lilian said: “I’m delighted to have been elected to this role and look forward to leading the group in an ambitious programme of work. Lilian was elected at the first meeting of the group since the general election. Three vice chairs were also elected: the Lord Shipley OBE (Liberal Democrat), Neil Carmichael MP (Conservative) and Ian Mearns MP (Labour). Despite several of its members losing their seat at the election, the Group is now larger, with 17 MPs and five Lords. consider the impact of government policy on the education and employment prospects of people who are deaf or have a hearing loss. The Group will also hold an inquiry into the cost of minority language status for British Sign Language (BSL). It wants to understand the economic, social and personal costs of not recognising a language indigenous to the UK, and what it would mean to the country if the government ratified the European Charter for Regional or Minority Languages with respect to BSL.